Senna Cosmetics brings us yet another stunning seasonal collection with Midnight Wine for Fall 2013 (c/o). With two looks for the season, RAVISHING RUBY plays with intoxicating berries, gilded bronzes, and sumptuous insense ruby red lips. While NEO COPPER infuses glimmering bronze and copper colors that glaze the face with volcanic patina. The way Senna describes their collection's just gets you craving some new makeup doesn't it? Both of these shades are from the Glow Eye Color range, they have a beautiful light reflective finish. Coppertina is a gold sparked copper with a warm bronze base with flecks of rose gold and Cordovan a bronzed wine. They apply so silky with just the right amount of shimmer and the gold sparkles in Coppertina aren't overly glittery. Once again Senna knows how to do shimmer like an ADULT. Dark blushes can easily go very very wrong but not Moonbery, the deep mauve applies a sheer dusky berry giving you a pretty just in from the cold flush. Looking at this color you might think no way if you're pale, but somehow it looks fantastic on all skin tones. 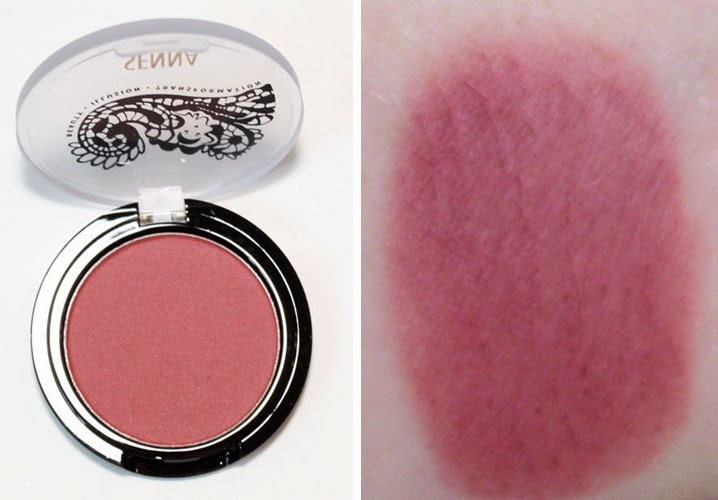 It can also be used as a contouring blush for a more dramatic or 80's look. Have a look athe Ravishing Ruby tutorial (posted below) to see how it's used for that effect. Beautiful Bronze is a golden bronze, a little grainy from the shimmer but the rose gold hue looks incredible when placed on the center bottom lip or paired with Blush Wine Lip Lacquer. Ruby is a creamy brown based crimson that is essential for Fall. 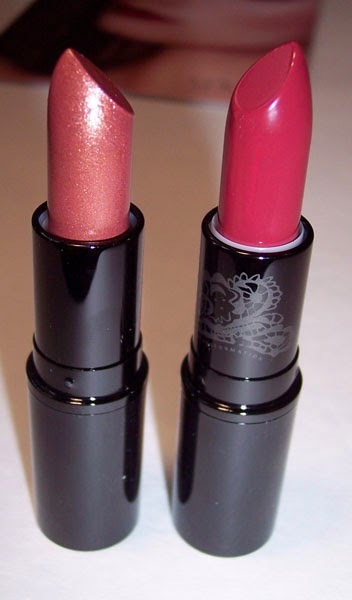 The formula of Senna's Lipstick's are so creamy and long lasting with a hint of vanilla scent. I selfishly just wish they'd make more colors that I could wear because their cream lipstick formula's are some of the best there is. 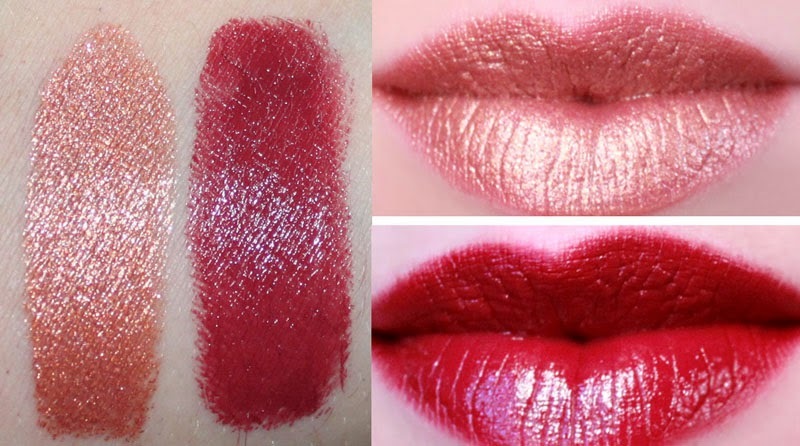 Lip Lacquers continue to rank in my top of the top glosses. Moisturizing, non-sticky with plenty of color to be worn alone. Blush Wine is a glowing rose with a slight golden sheen, it's gorgeous over neutral pink lipstick's. Mulberry is a creamy mauve wine that is plummy with out any red tones. Leather...loooove the name of this! 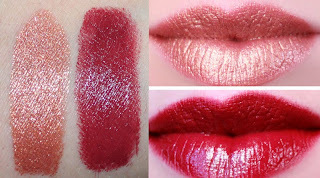 is a rich cocoa brown, the updated 90's style lip color. Want to see these products in action? Eugenia shows us how to create the two beautiful promo looks.